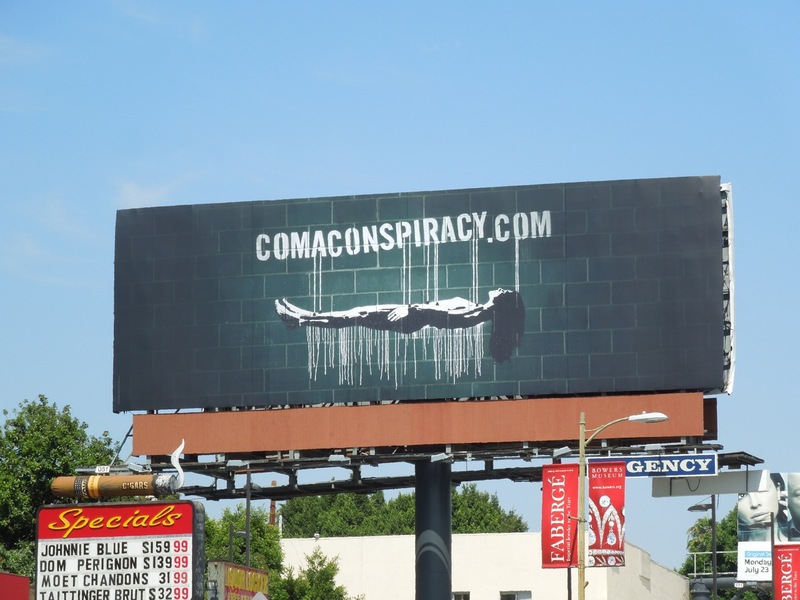 Movieland is not the only medium that delights in remaking films, as A&E illustrates with this Coma Conspiracy teaser for it's new TV mini-series remake of 1978's Coma. 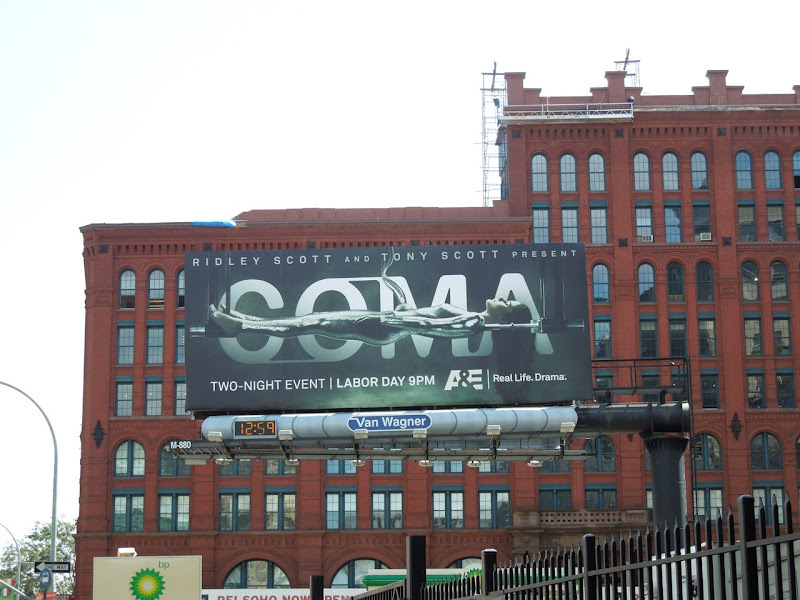 The two-night television event boasts big names from film and TV alike, with Geena Davis, James Woods, Richard Dreyfuss Lauren Ambrose, Steven Pasquale and Ellen Burstyn all breathing new life into the small screen adaptation of Michael Crichton's original hospital cover-up conspiracy. 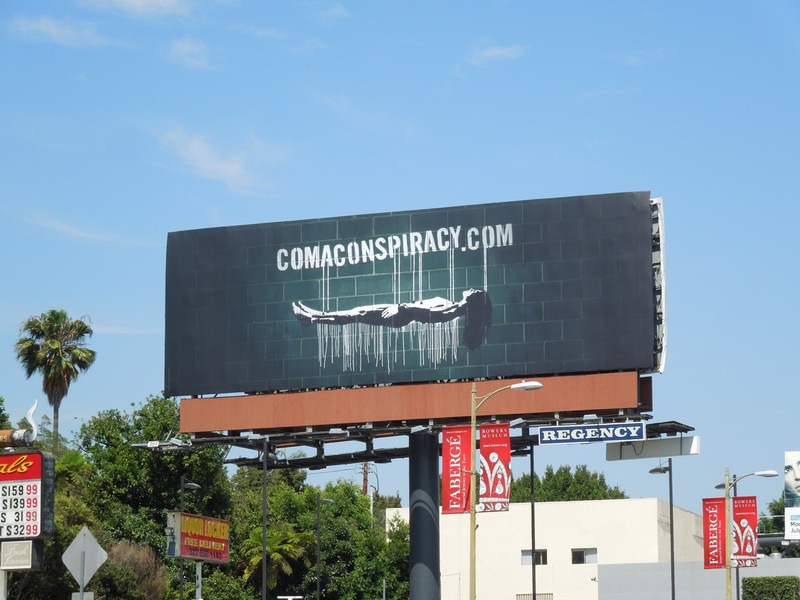 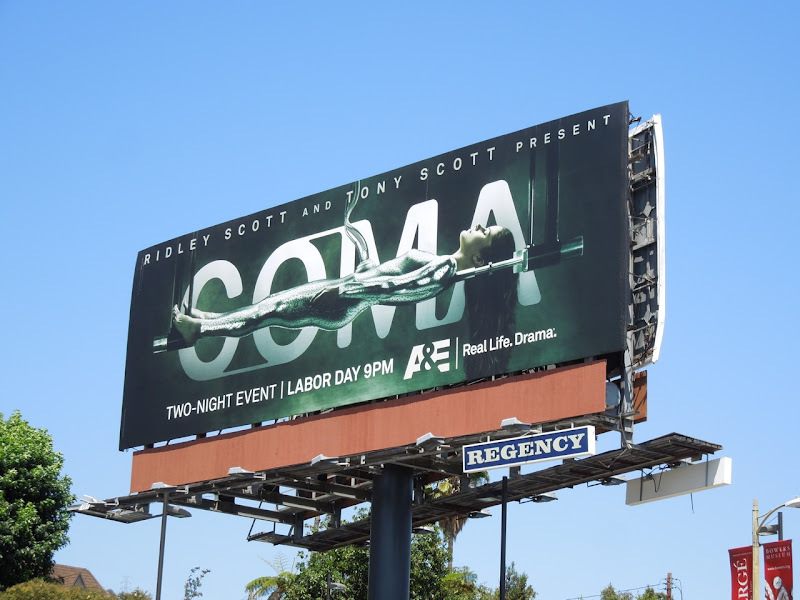 This clever teaser billboard for the TV thriller certainly catches your eye, and your imagination, in two locations along Sunset Boulevard on July 11, 2012. 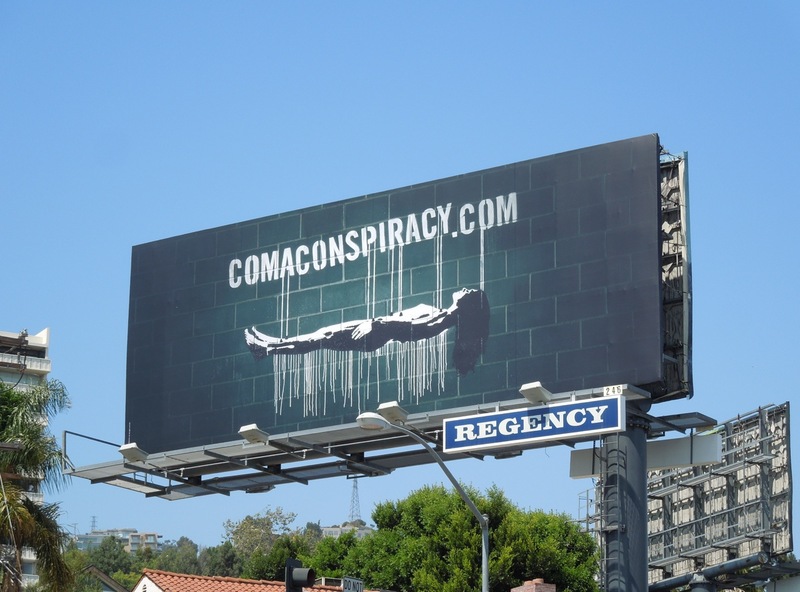 If you like this, be sure to check out even more great examples of A&E TV show advertising here at Daily Billboard. 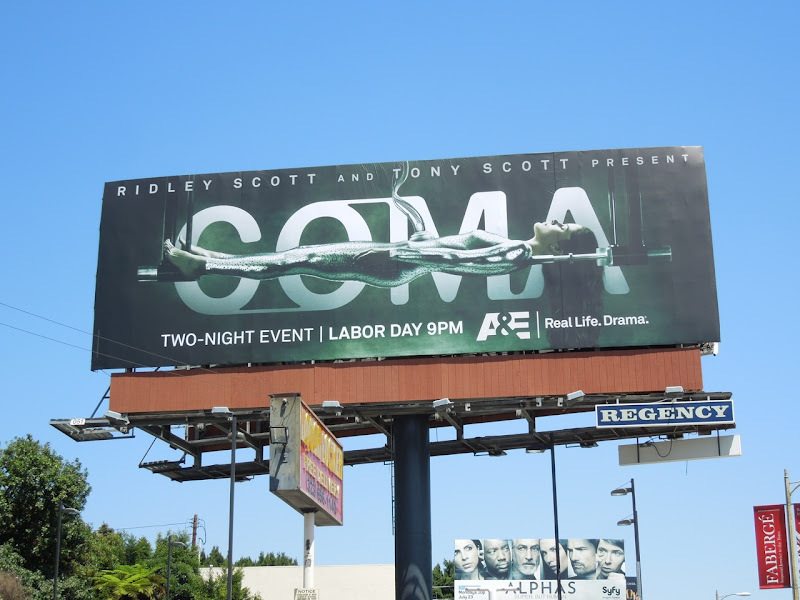 UPDATED: As expected following the teaser billboard from A&E, here's their official billboard for the TV remake of Coma. 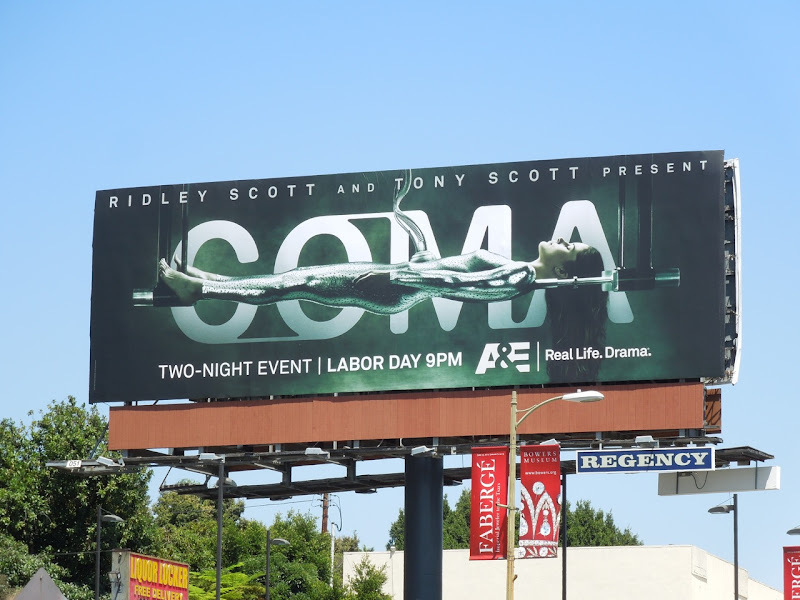 This new creative snapped along Sunset Boulevard on August 6, 2012, looks super sci-fi and it doesn't hurt that Ridley and Tony Scott lend the mini-series some pretty cool directing and producing credentials too. 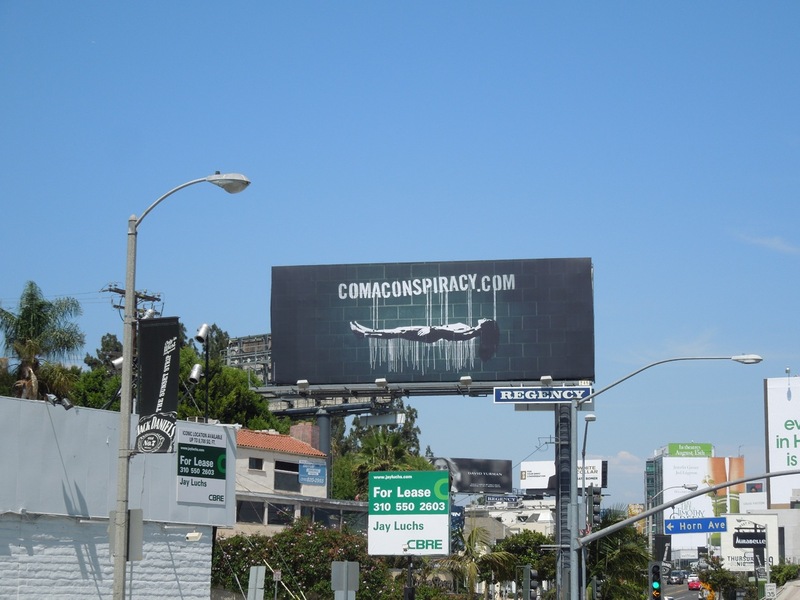 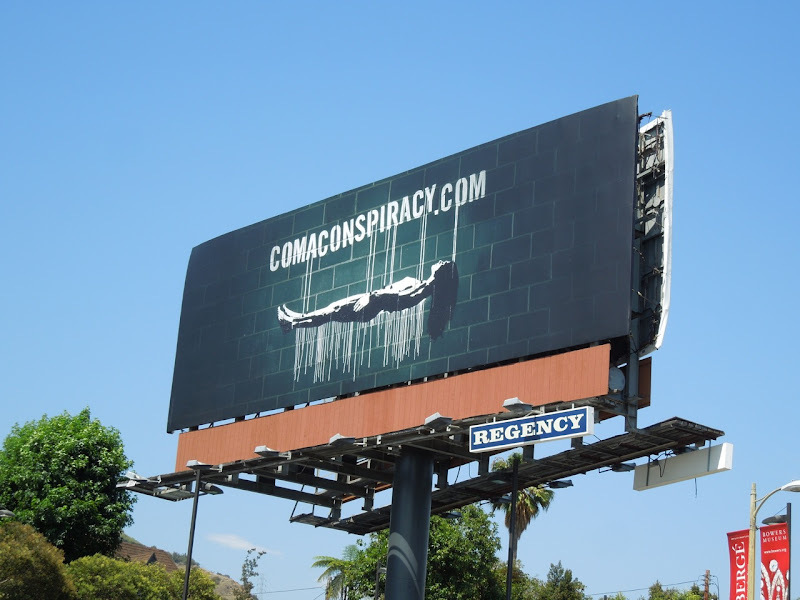 UPDATED: Here's how the same creative looks on the streets of New York City, with this Coma billboard spied along West Houston Street in downtown Manhattan on August 28, 2012.